Preparation courses for the reception of the Sacraments are arranged and conducted by the parish community where you worship. 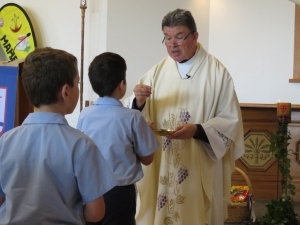 For information on the Sacramental Programme run by Our Lady Star of the Sea parish, visit our parish website. Click here to download the 2018/2019 Sacramental Programme Enrolment Form. Completed forms are to be returned to the Drop Box at the Parish Centre.